Hi everyone! 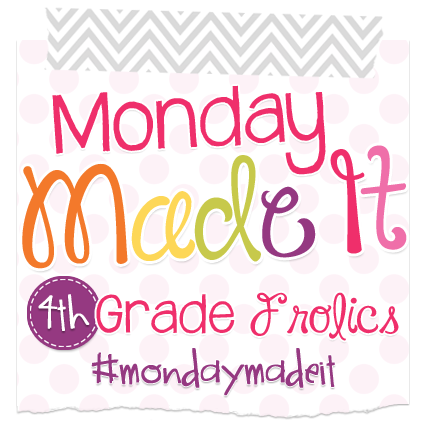 I am linking up with Tara from 4th Grade Frolics for my favorite linky party, Monday Made It! I don't have a whole lot for you today, but I am pretty excited about what I have to show you. Here's a sneak peek to get you excited as you read on! 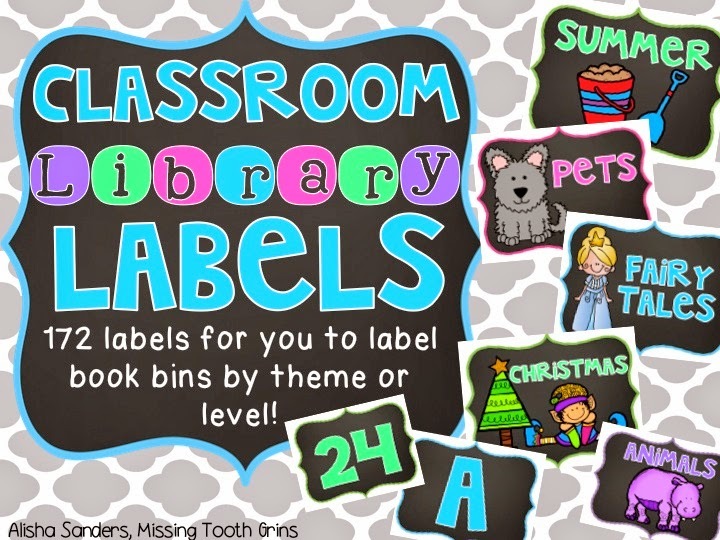 First up, I spent a lot of time last week making up some classroom library labels for my book bins. If you follow me on Instagram, then you've seen some of these pictures. I decided they needed some jazzing up though. On the left, the bin just contains the label. On the right, you can see I added some duct tape. Of course, it's cupcake duct tape to match my sweet shoppe in my classroom! 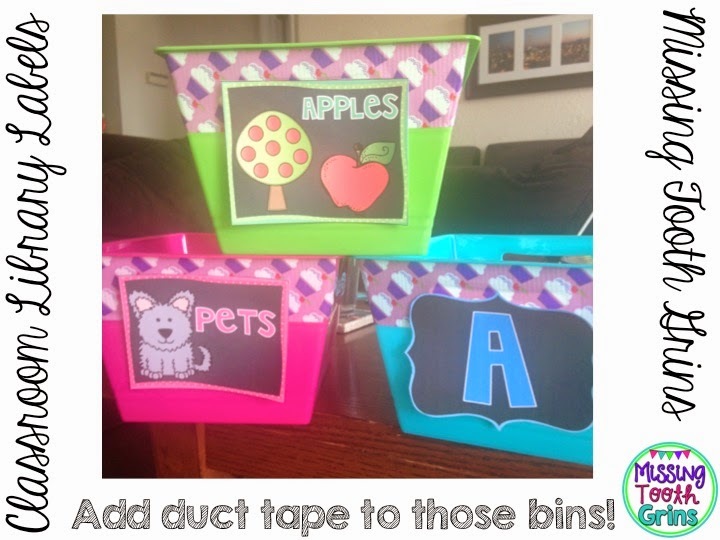 See, just add some duct tape to those bins! I love them so much more now! 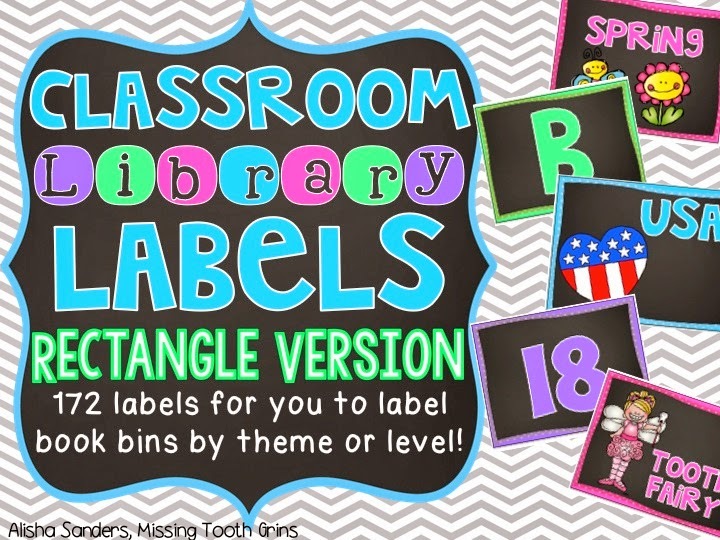 If you are interested in either of the Chalkboard Classroom Library Labels, click the picture below to find them in my TPT store. 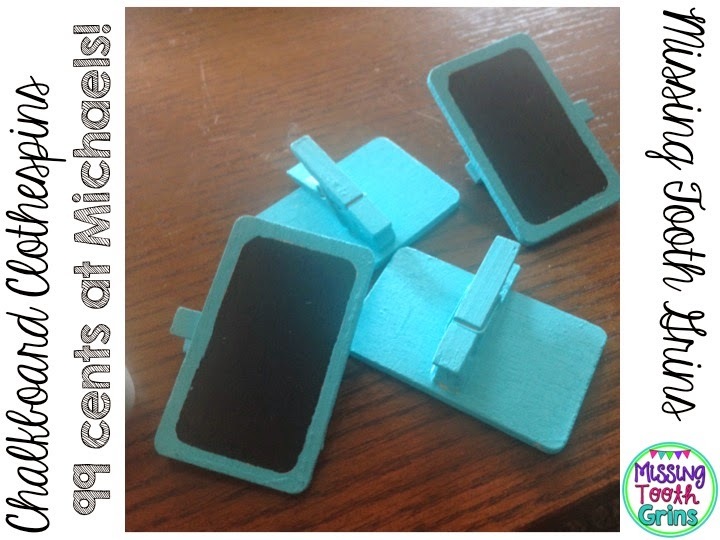 I have them listed for $1 off today in honor of Monday Made It! My second project was easy peasy! 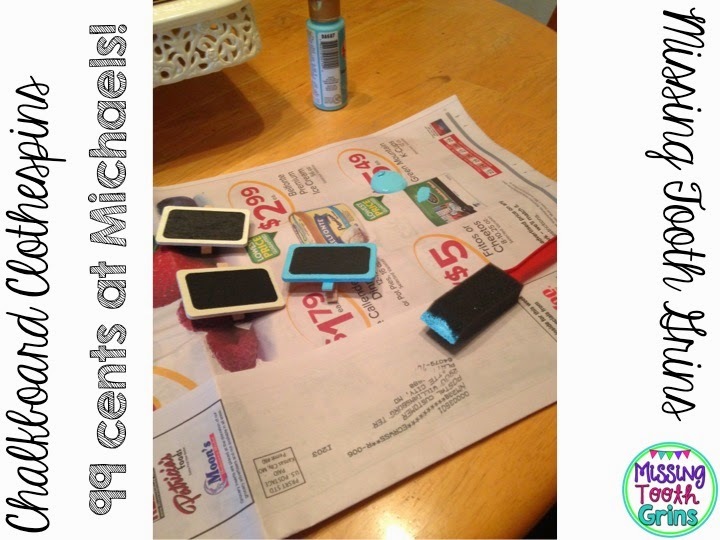 I originally went into Michaels to make these all from scratch. 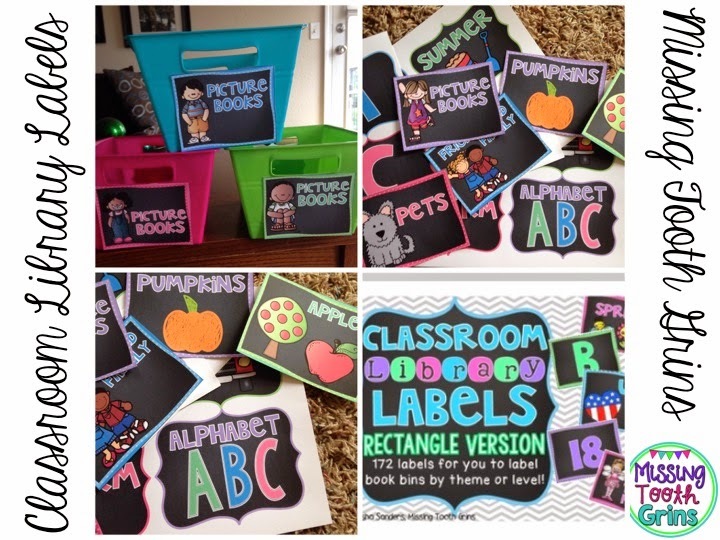 I was on the hunt for clothespins, chalkboard paint, and little wood palettes. That was a big fat fail. On my way out, I happened to look up and see some already made! What?! Yes, for real! They had six in a package for only 99 cents! It took everything in me to not buy every single package. Anyway, I decided some blue paint would jazz them up. 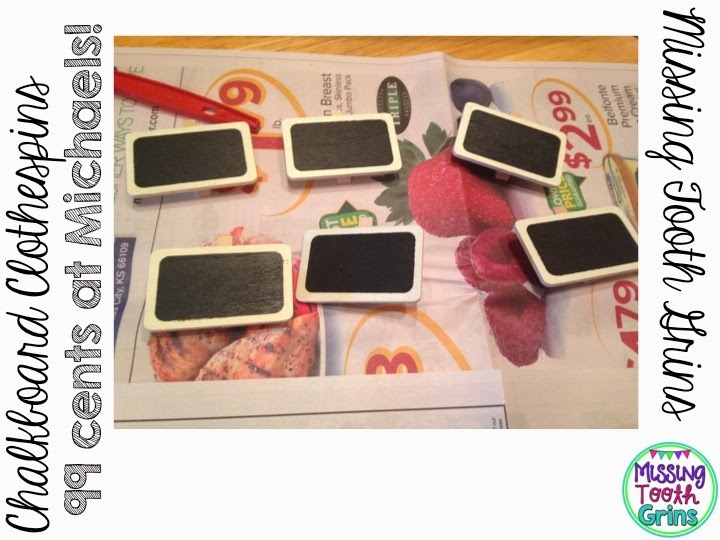 I just need to add names and hot glue tacks on the back of the clothespins so that I can put them in the hallway. 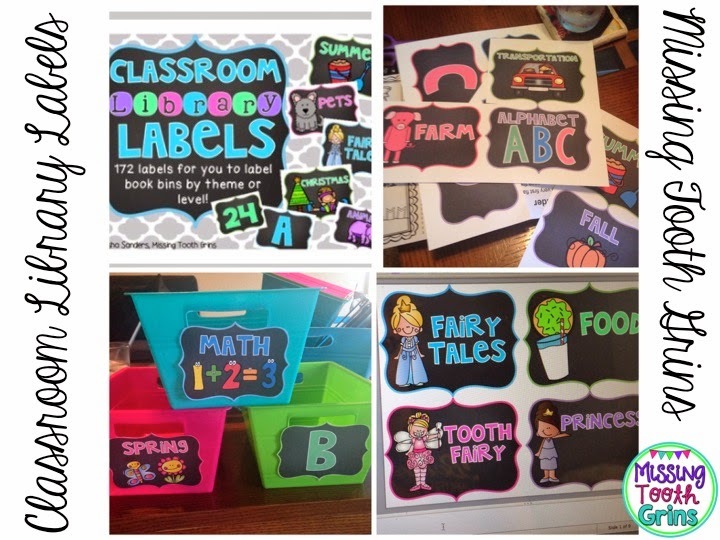 They will be the perfect way to display student work in the hallway! That's all, folks! 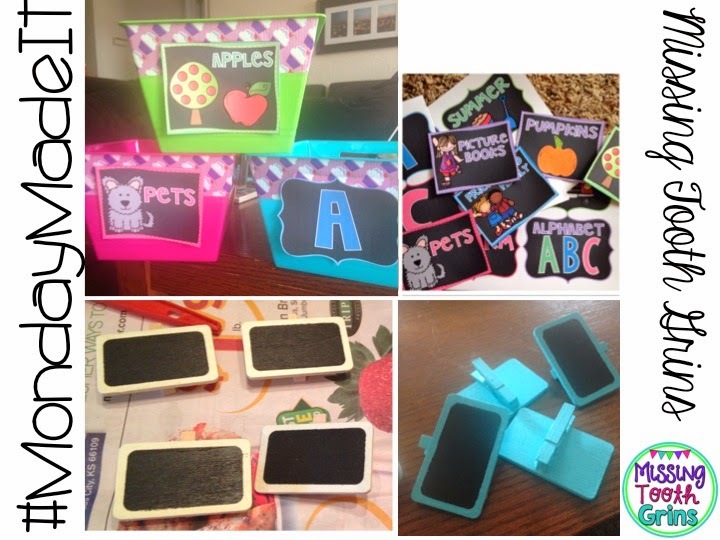 I'm off to stalk all the other blogs that participated today so that I can get more ideas! Those library labels are cute! I love all those bright colors. They are definitely going to liven up a classroom library. Your blog design is adorable! OMG so jealous. 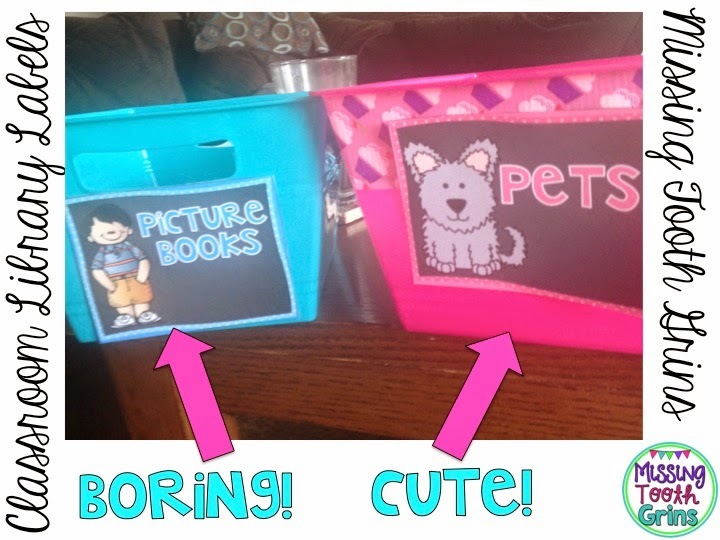 I need those little chalkboard things. Back to school is so expensive! Phew! It's A Monday, But I Made It!